Ivan Petrovic is happy with his new team Mes Kerman in Iran Pro League. “Everything is good here and we have a great team in Kerman. Fantastic players transferred to Mes Kerman and the current situation is satisfying. The first four games in league are very important for us. We have to face with Sepahan, Naft-e-Tehran, Tractor Sazi Tabriz and Esteghlal.” Serbian said. “Ebrahim Ghasempour (the head coach of Mes Kerman) is gentleman and I respect him. He is really a good man and Im happy working with him here. I hope we can get good results with him in this season.” Ivan Petrović commented on his coach. After relegation with Shahin Bushehr, Ivan Petrovic transferred to Mes Kerman in order to play in Iran’s top flight league. In 2008 Petrovic came to Iran and signed with Persepolis. He had a great performance in that team and won Hazfi Cup. 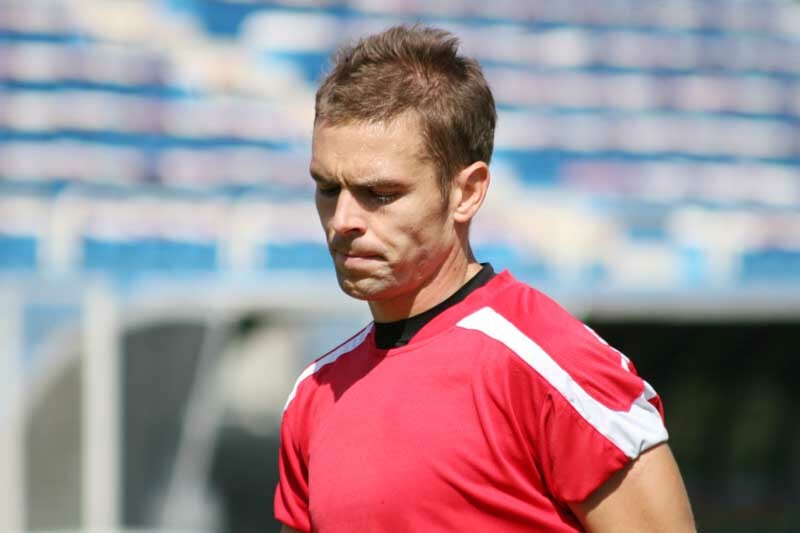 From 2009–2012 he played for Shahin Bushehr. He had 95 appearances scoring 9 goals for Shahin.